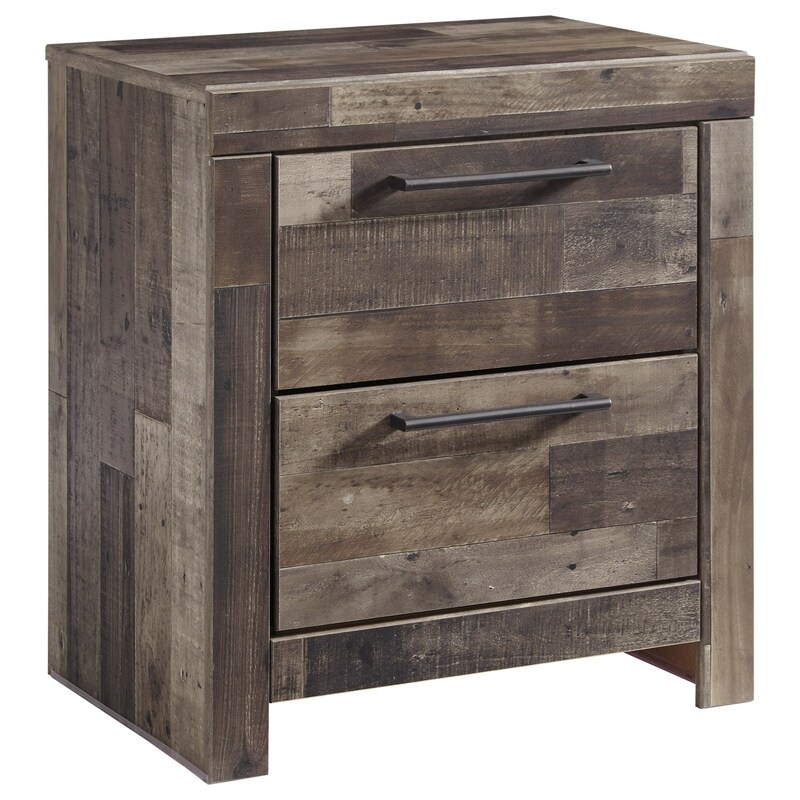 With its rustic finish and butcher block style pattern, this nightstand with two drawers has a versatile appeal with the look of reclaimed materials at an affordable price. For modern functionality, it includes two USB charging ports at the back of the nightstand. Create a unique look in any bedroom with the clean lines of this storage piece. The Derekson 2-Drawer Nightstand with USB Chargers by Benchcraft at Michael's Furniture Warehouse in the San Fernando & Los Angeles area. Product availability may vary. Contact us for the most current availability on this product. Storage Drawer interior (2) 14.50" x 13.00" x 5.00"